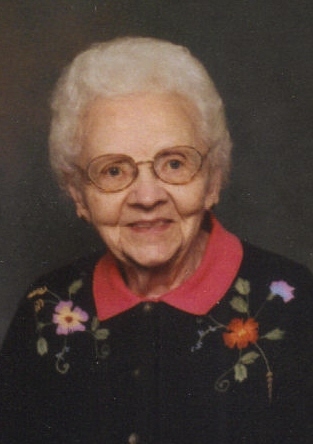 Rose Lohr, 94, passed away September 30, 2012 at Avera Prince of Peace in Sioux Falls. She was born on January 13, 1918 to Michael and Regina (Hoffman) Lohr in Clark, SD. She attended and graduated from Clark High School in 1936. She then worked for one year at St. Lukeâ€™s Hospital before enrolling in Aberdeen Business College. Upon graduating, she moved to Sioux Falls to find employment. Rose was employed in the bookkeeping department at the Gamble Warehouse in Sioux Falls until 1945 when she began working as an Office Manager at Billion Motors Oldsmobile where she worked for nearly 25 years. In 1970, she went to Oâ€™Gorman High School where she was Business Manager until her retirement in 1982. Her sister Estella moved to Sioux Falls to Live with Rose after her retirement in 1972. They lived together until August of 2002 when they sold their home and moved to Independent Living at Laurel Oaks. Rose was an active member of St. Maryâ€™s Catholic Church where she was a member of the Altar Society and for many years a Eucharistic Minister. She was also a life member of the Catholic Daughters and McKennan Hospital Auxiliary where she often volunteered. She enjoyed doing puzzles of all kinds, reading, cooking and spending time with friends. Rose is survived by one sister: Beth Hartman, Sioux Falls and many nieces, nephews, grand nieces and nephews as well as many friends. She was preceded in death by her parents, three sisters and one niece. Visitation will be Tuesday, 5:30 PM at Barnett-Lewis Funeral Home with a Scripture Vigil at 6:30 PM followed by a Catholic Daughter Rosary. Mass of Christian Burial will be Wednesday, 11:00 AM at St. Maryâ€™s Church.